Trigger warning: This story includes testimony about experiences of sexual violence and may be triggering. April is Sexual Assault Awareness month. To raise awareness, Chips is highlighting the active efforts of students on campus who continually advocate for survivors of sexual assault. Jenny Hickey (‘19) is an active member of Luther’s campus and is dedicated to giving a voice to those who are often silenced. This is highlighted by her volunteer work with survivors of sexual assault at the Riverview Center and her participation in Luther Platform — a group intended to provide a space in politics for those who are typically excluded. Hickey has also volunteered her time to Norse Against Sexual Assault, an organization on campus that seeks to work with campus members from all spheres to raise awareness about sexual violence and misconduct. She is an elementary education major with an English as a second language endorsement. Hickey joined NASA following an experience of a sexual assault that occurred during her first year when a fellow survivor suggested she get involved with the program. Wishing to advocate for all those affected by sexual assault, Hickey dedicated herself to empowering other survivors and educating the public on consent. “As a survivor myself, the rhetoric that I heard after my assault was very victim-blaming, not centered on the healing process of the survivor, and so my process was centered on educating the community on different kinds of sexual assault and the experience of survivors, and creating a community of support for those survivors and a dialogue about sexual assault,” Hickey said. Hickey first joined the student group before it was a recognized organization as a casual attendee of meetings. After NASA’s founding members graduated, Hickey began acting as the association’s treasurer during her junior year and concluded her term in the fall 2018 semester. Information courtesy to luther.edu; image courtesy to canva.com. All of the people listed in this infographic excluding advocates from Riverview Center, staff in College Ministries, and staff in Counseling Service and Health Services are mandatory reporters. Meaning, if you tell them that you were assaulted, they have to file an official report with the school. 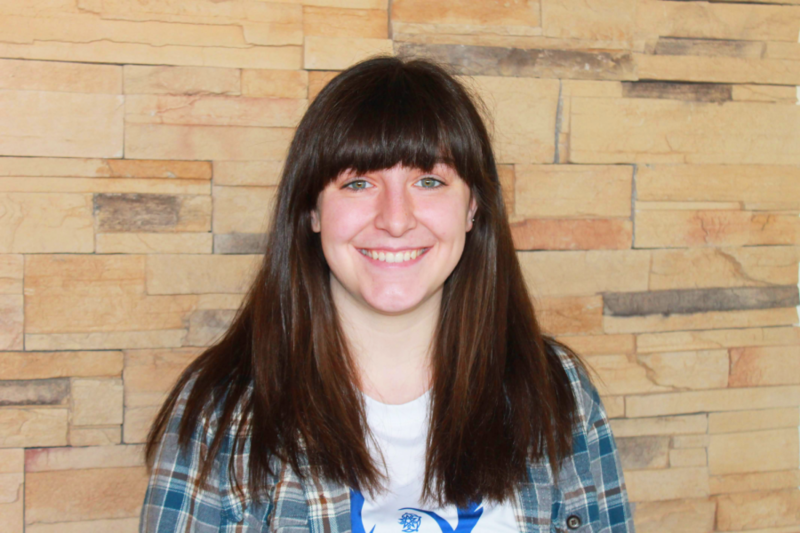 She has been a community outreach member which means she supports discussions at Luther about education on consent, reducing stigma, and addressing state and school policy. Hickey pushed during her time on the executive board of NASA for greater involvement with the Decorah community, especially with local high school students, who she believes are the most vulnerable population to sexual assault by peers. While at Luther, Hickey completed the volunteer advocate training at Decorah’s Riverview Center, and was placed on-call once or twice a month, after which she was to meet survivors at a medical center. There, she would provide emotional support while another advocate would provide legal advice. She never received a call, but she volunteered to be on call for two years. Hannah Stenoien (‘20) believes Hickey has the necessary traits to be successful while volunteering. Hickey is also on the executive board of Luther Platform, a national organization that attempts to emphasize underrepresented voices in political environments where policies are being drafted. Hickey felt motivated to join through her experiences with NASA, which also focused on amplifying underrepresented voices. Her time with NASA reinforced her desire to collaborate with representatives to advocate for legislation that supports survivors at the government level. Hickey believes that Luther’s process for addressing sexual assault events is fairly comprehensive for the state of Iowa, but still has its flaws.